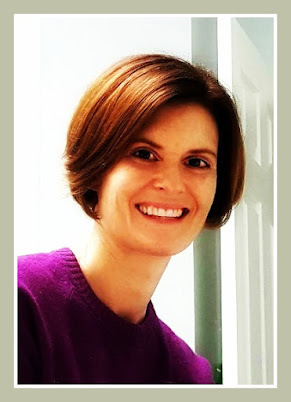 I was given a review copy of Get the Behavior You Want… Without Being the Parent You Hate! for the purpose of this review. I was not compensated in any other way for this post; all opinions and words are my own. The day I realized that parents need to take the responsibility to parent themselves first was the day this whole parenting thing made sense to me. I was at home with a toilet-training child. There were accidents, endless loads of laundry, spot-cleaning on every surface, and more than a few tears. I was at wits’ end, and I did what any self-respecting parent would do – I called my mother. My mom is nothing if not a hard truth-teller. Her ability to use perfect common sense in every situation astounds me. This time was no exception. “To train a child to do anything, you have to train yourself first,” she said. Dense as I am, I didn’t understand. “What do you mean?” I squeaked. “You need to take your kid to the bathroom! Train yourself to stop what you’re doing consistently throughout the day – every half-hour if you have to – over and over and over, to help your child practice! !” She replied exasperatedly. How did I raise such a stupid person? I imagined her thinking. Our two-year-old was toilet-trained in a weekend. Before my kids were born, and throughout the first year of their lives, I read parenting books. Well, baby how-to books, really. DIY parenting. How to know if a fever is doctor-worthy, what sorts of reactions are normal after immunizations, how much sleep a child needs through stages of development. I browsed baby development websites to know what to expect, and even read humor books about the ups and downs of being a mom to remind me that I wasn’t crazy, failing miserably, or both. Then life got real, and I stopped reading books and spent more time learning from my children, other moms, my own mother, my mother-in-law, our grandmothers, aunts, and really any female that I saw toting a child around. I parented on the fly, and cobbled together tips and tricks that I learned to get through especially tough times. Over time, my husband and I developed our own brand of child-rearing, one that mostly works in our house with our particular family configuration and growing and changing individual personalities. We’ve succeeded and failed many times over. We can always use improvement. I haven’t read a parenting book in years. Until now. 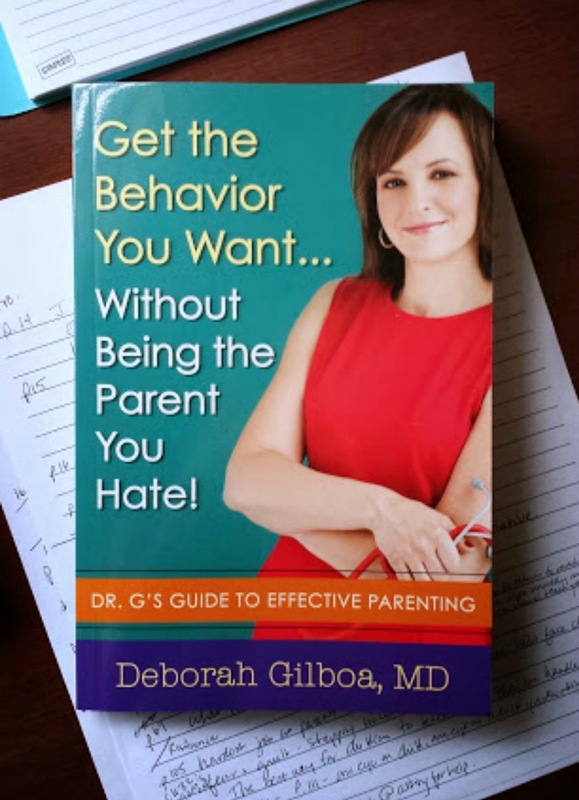 Dr. Deborah Gilboa’s Get the Behavior You Want… Without Being the Parent You Hate! is a book of how-tos, a guide for what-to-dos, and a reference for tackling just about any behavior and situation a parent faces with their kids at home on a daily basis. The book is organized into four parts. The first three cover the importance of teaching children the three mainstays of good behavior: Respect, Responsibility, and Resilience, which happen to be three spotlight areas in our house populated with middle-schoolers. The fourth part explains how to make changes happen, starting with parents. Can our kids count on us to do what we say we will? Ultimately, can we be the parents we want to be? With this book, Dr. G reinforces the lesson my mother taught me those years ago – that when we structure ourselves, we can structure our kids’ lives. All parents can learn what it is to be a fully formed, responsible adult from this book, along with tips on learning how to be an effective parent. If you’re a parent, read Dr. G’s book. Never preachy, it’s written in a warm, practical tone that is down-to-earth and funny in some places, like in a “we’re all in this together, here’s what happened to us and how we dealt with it” kind of way. You trust her point of view because of her experience and profession. Her ability to make even the hairiest parenting issue seem doable is confidence-building, that even your NOW WHAT?? moments can be corrected and handled by YOU, the parent. Get the Behavior You Want… Without Being the Parent You Hate! is available on Amazon. If you’re not aware of Dr. Deborah Gilboa’s presence on social media, I hope you become aware. Her 2-minute YouTube videos are not to be missed. Her guest segments on news programs nationwide cover interesting parenting topics and information as well. And she speaks and gives seminars on parenting. Find her on Facebook, Twitter, YouTube, and her site. Your mother's advice is awesome. Both are great, so steeped in common sense. As a parent I need to be reminded of it, because I get crazy wrapped up in the details of parenting. That - and your mother's advice - is such a great take-away from the book! I've had the same "aha" moment about having to change MY habits before I can change theirs. Parenting is hard, yo.